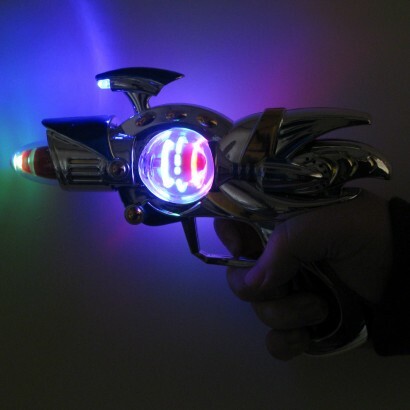 Lit by multi coloured LED's and with it's sleek silver body, this flashing space gun is destined for super galactic adventures! 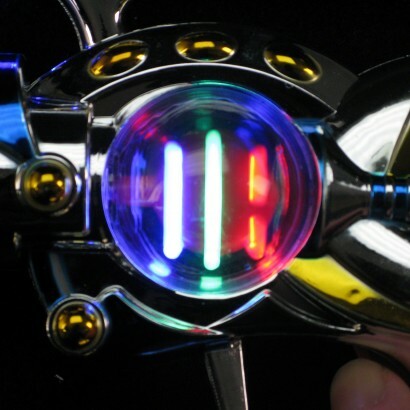 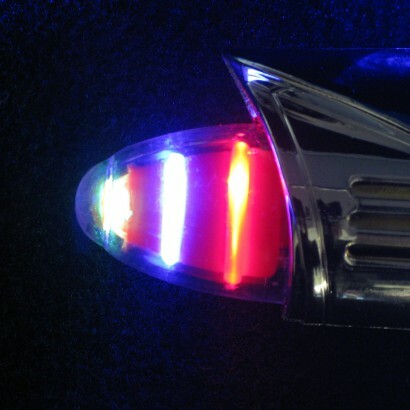 Highlighted with shiny yellow and blue, this futuristic space gun has a spinning disco ball in its center and has a decreasing circle effect on the tip that lights up when you pull the trigger. 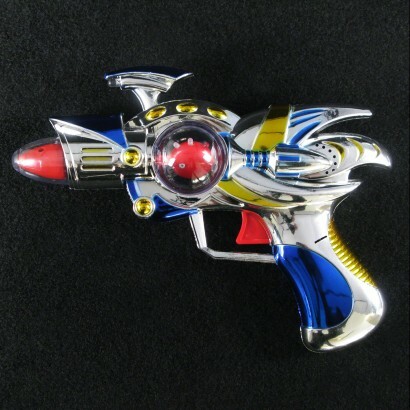 Perfect for space rangers and super galactic fun!